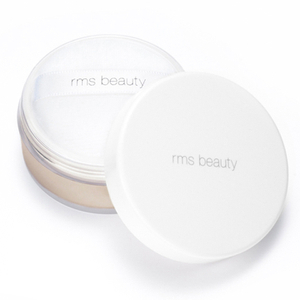 Achieve a flawless complexion with the RMS Un Powder; an ultra-fine, light-reflecting powder that blends effortlessly onto skin for a picture-perfect finish. Ideal for all skin tones, the invisible face powder absorbs excess oil, sets make-up in place and minimises the appearance of pores, whilst targeting unwanted shine on the T-zone area for a long-lasting, mattified effect. Complete with a puff for application on-the-move. To minimise shine, apply lightly with powder puff or brush, concentrating on the T-zone area. The included puff is preferred for a better controlled application as puffs tend to deposit less powder onto the skin.